There are 9290 posts in this topic. You are on page 110 of 186. Ha ha, you can see that's what I did until I could swap it out. Good luck! Hey guys, check out this cool mod I found in another thread. You can find Lambo versions on eBay. 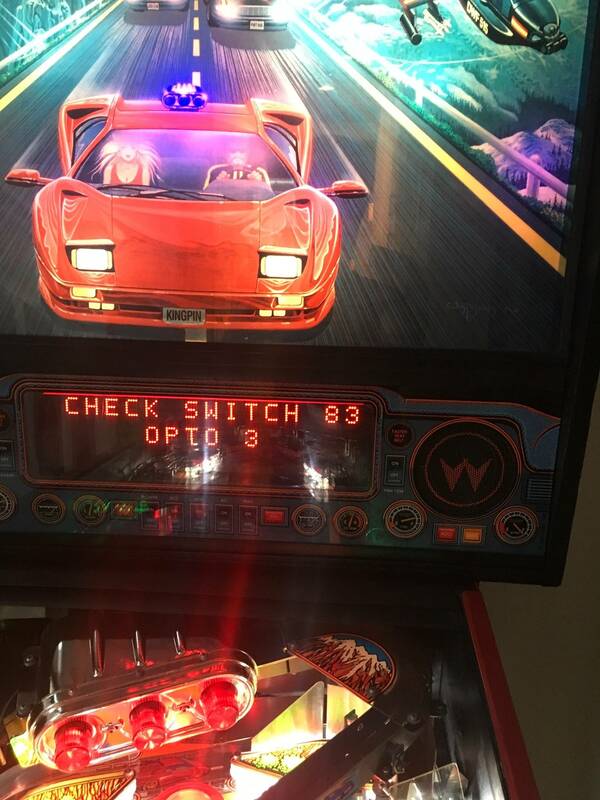 Sorry, its the switch for the burn rubber outhole. 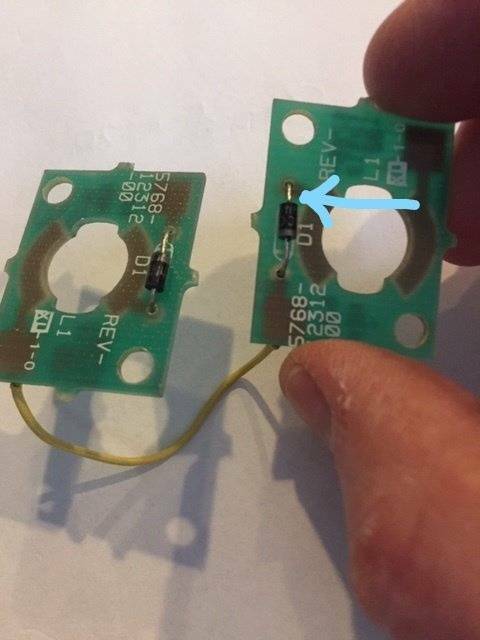 It doesn't appear in the list of switches on p 2-40 nor does it appear in the detail for the kicker outhole on page 2-22. Uhhh, while your at it clean the red plastic or get a new one then light it up with a dual head red flex led. Great idea, didn't think it could be done. Will do. Outhole washed and clean and I soldered up a new socket for it. I didn't have a red bendy on hand but I put a 2smd premium diffused bulb for now. As an added bonus I took apart the switch since I was there anyway, cleaned it and adjusted the arm, now it works perfectly. 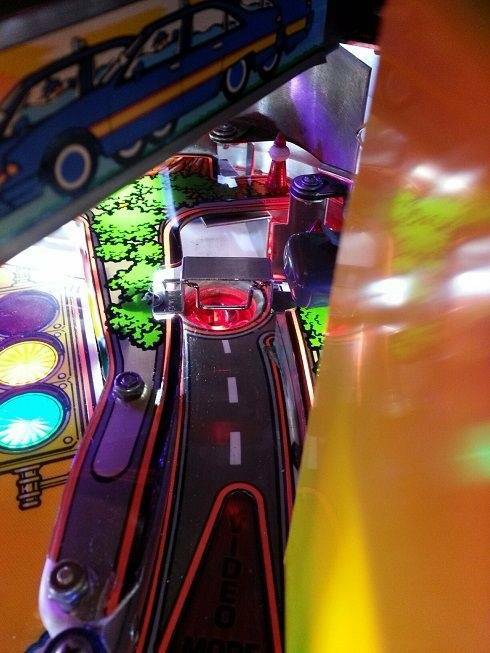 Gotta love pinball Karma. Excellent! I didn't use a bendy on that light either, in fact I used that same bulb, and it works just as well. I'm also glad your switch issue is resolved, good job. Looks great, and glad you restored the switch! My only other idea was to only have it light when one of the 3 tunnel arrows was lit. However, turned out to be beyond my electrical knowledge, so I just leave it laminated all the time. 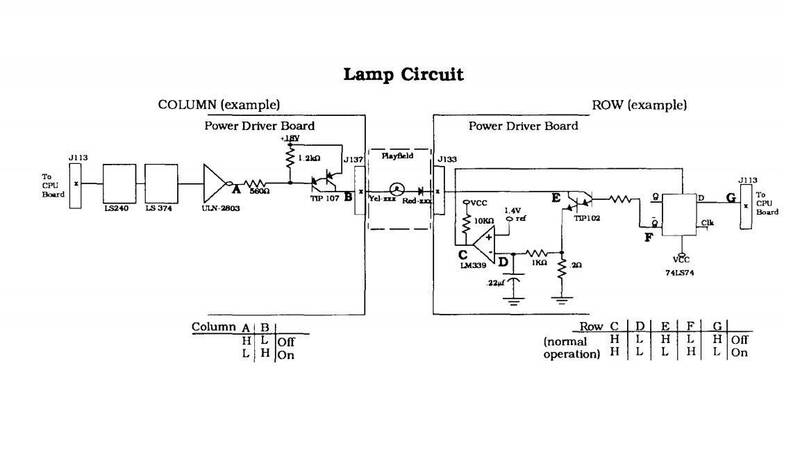 It's designed for 12-24v so the 6.3 v of the start button might not even light it up. I'd say 12v minimum. I need pics when it's done. I have brown carpet, so am afraid it wouldn't really work for me, but I love the idea. Just finished repairing my upper flipper. Funny thing is a couple of weeks ago while playing, I thought I heard a screw drop in the cabinet (I've heard that distinctive sound plenty of times when working on the machine). Anyway, I looked for a few minutes but never figured anything out. Was playing today, and realized the upper flipper was all out of alignment and playing really loose. Took a look from the side and not only was it out of horizontal alignment but vertical alignment too. 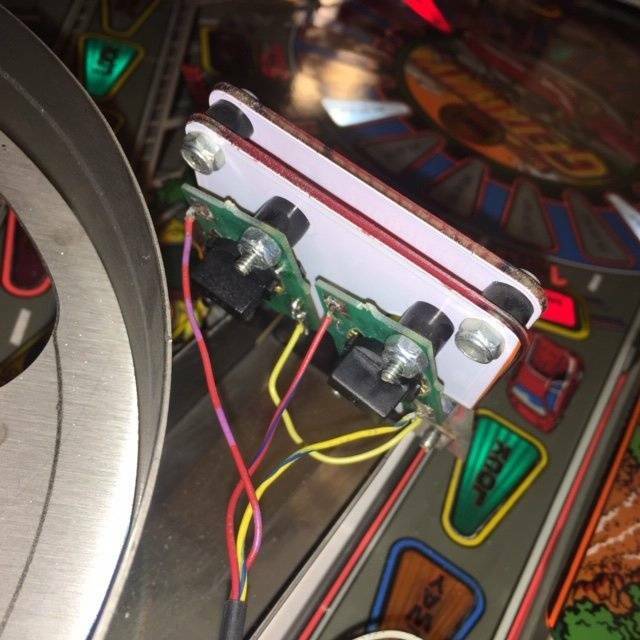 I wondered what in the world happened, and to my surprise when I lifted the playfield to analyze, I saw that all 3 flipper bushing screw heads had popped. Have no idea what in the world would have caused this, and I'm assuming maybe it was already in bad shape from previous owner and I just never noticed it. So, a full upper flipper assembly disassembly was in order. Fortunately, I had all the hardware I needed and was able to get it fully repaired. Now upper flipper is nice and tight, but I have to relearn how to hit into loop from there since it plays much differently than when it was broken. Sounds like the locknuts on the backside of the bushing were probably not put on. This is a must !! Doesnt hurt to put a little locktite blue on all the components when rebuilding either. Just dont use the locktite red. Yup, and it its fastened down properly it should never come lose. Of course! And my post was about what you should do when you find these kind of issues. Make sure they are fixed properly. 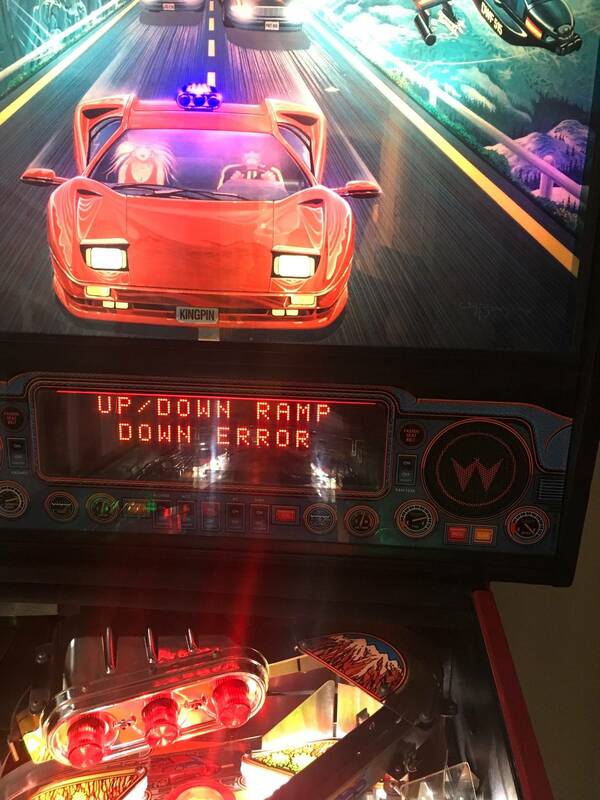 Well, I don't know how, but I must have messed something up with the pop bumpers during my flipper repair (maybe accidentally pulled on a wire or something?). Anyway, even though they work, it seems like the pop bumpers are not as sensitive as they were before (even my son said something without me prompting him). 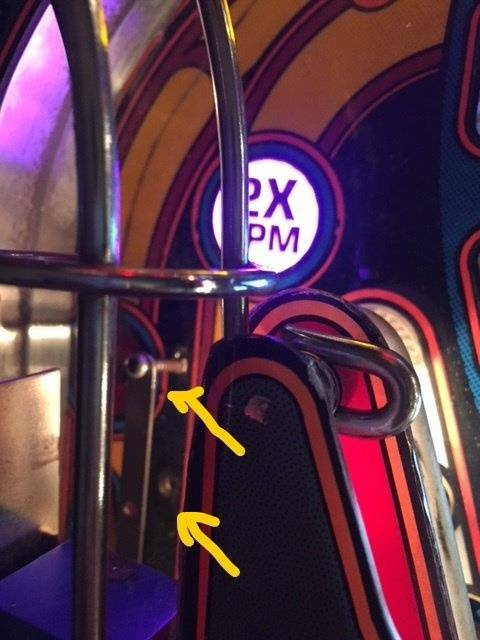 Then in the middle of the game the lower pop bumper just started rapid firing on its own when the ball was nowhere close. This happened a few times in the 2 or 3 games I've played since fixing the flipper. 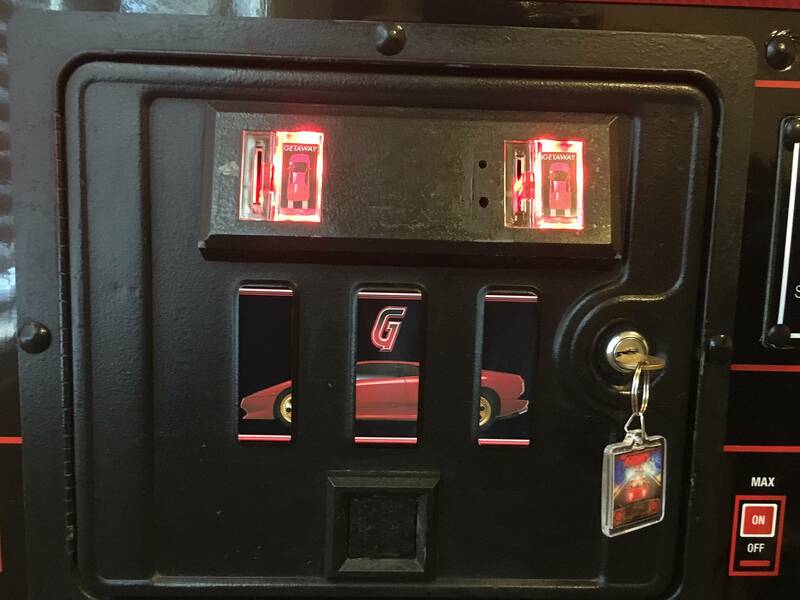 Haven't taken the time to lift the playfield again to see if I notice anything obvious, but anyone else ever experience this sort of thing? All 3 locknuts where in place and still tight. I'm betting a couple of the screws were already damaged, and I just never noticed it. 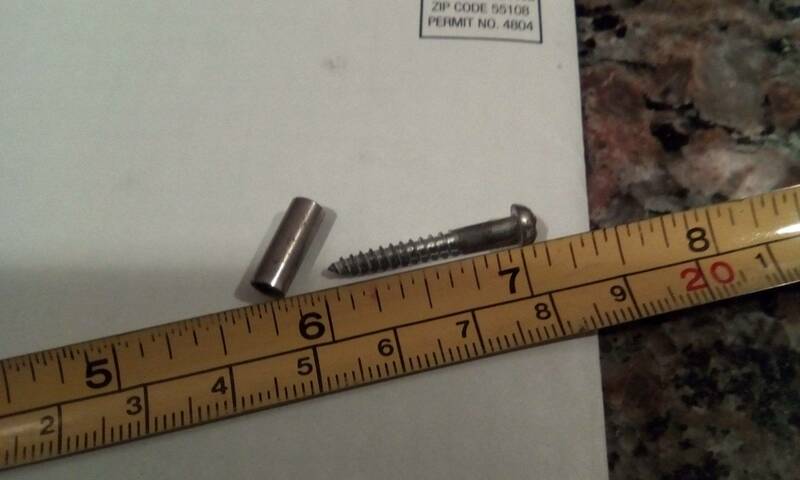 The cabinet clunk I heard a few days back must have been the last screw head finally breaking off. I would check the fuses, sometimes a single pop bumper will be down and it makes the other functioning ones seem weaker. As for them acting on their own, check for foreign objects or solder drips on the wires or near the coils, that's where I'd start... do a solenoid test after you look for anything out of place and look over the fuses, do not test them until you're sure they are clear. 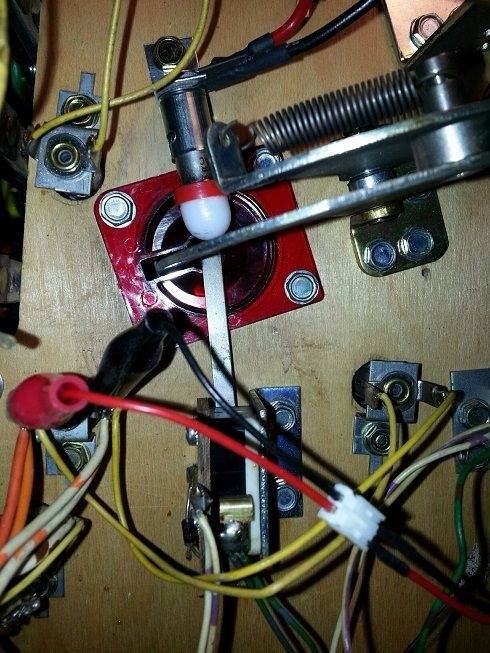 To me this sounds like one of the pop bumper switches is too close together(check the one that was rapid firing) , you may have hit it or bent it while you were in there. This will not only cause the rapis firing you descibe but may also make the other pops act weird. Worth a look. 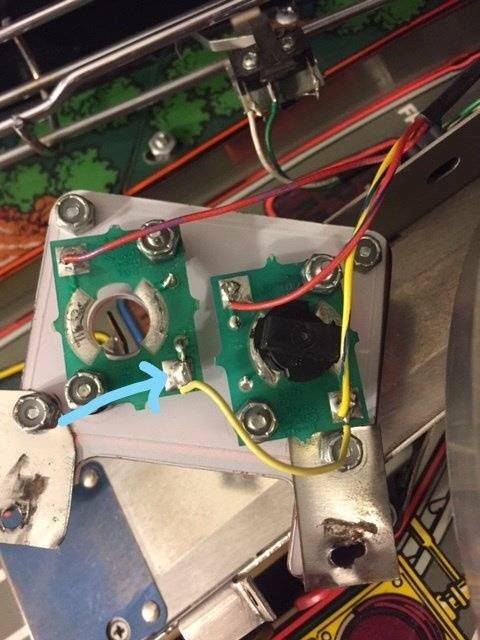 Upon close inspection I noticed 2 things: 1) on two of the pops the single wire connected to one of the leads was hanging on by a thread, literally 1 of them only had 1 wire holding on. So, I cut all 3 off, re-stripped, and re-soldiered. 2) I checked each of the pops by hand and noticed that there was no clicking on the bottom one. 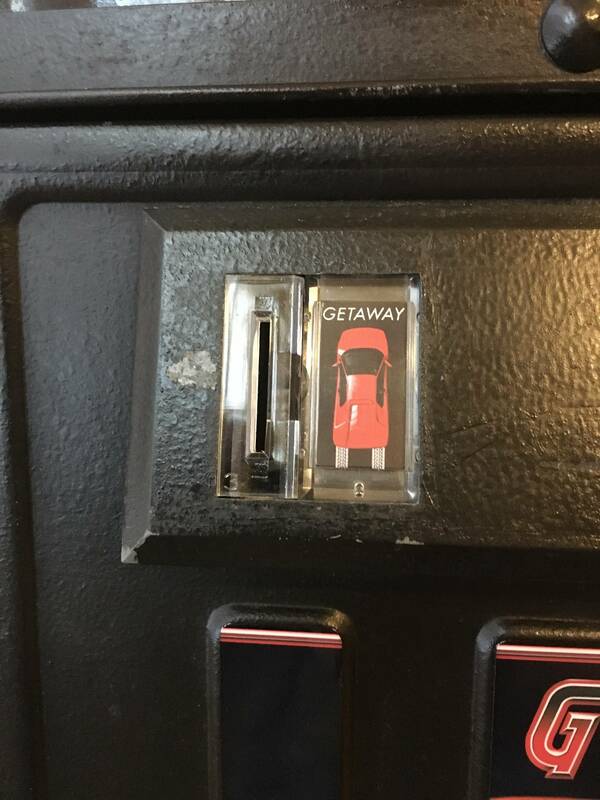 Upon close inspection, there was literally no gab as the switch was permanently in the closed position. Took about 10 tries to get the spacing right and the mount position correct (man, what a pain getting the switch center mounted), but once I got it locked it now the pops perform better than ever since I've had the pin. Before I saw your reply I took a quick gander at the first page of Vid's guide to rebuilding pop bumpers and this is what led me to my findings. Turns out you were 100% right with your diagnostics. 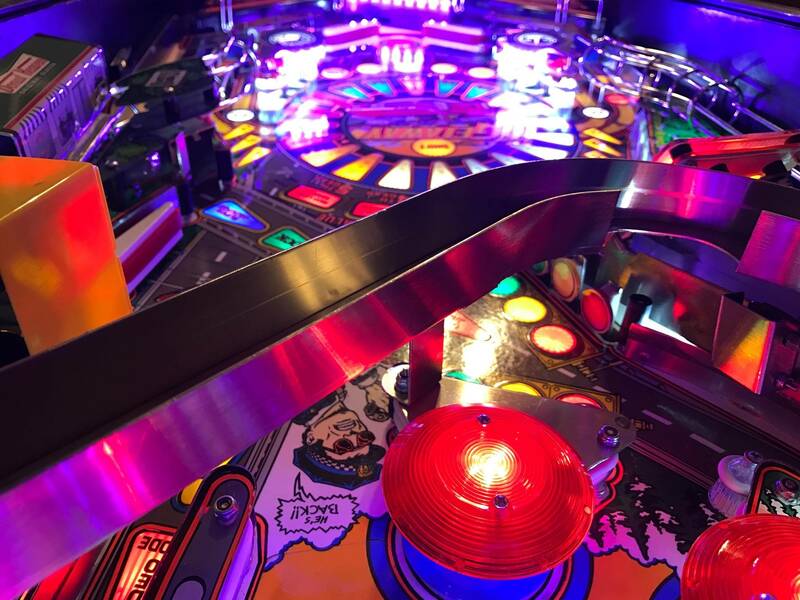 Always something to learn about pinball, and while the setbacks are frustrating, it is quite rewarding learning more and being able to resolve the issue with the help of Pinside. I don't know if this issue was coincidental or something I caused, but very happy to be back to fully operational. Yeah, working on the pops can be a bit of a bugger sometimes. Glad to see you got it sorted out. 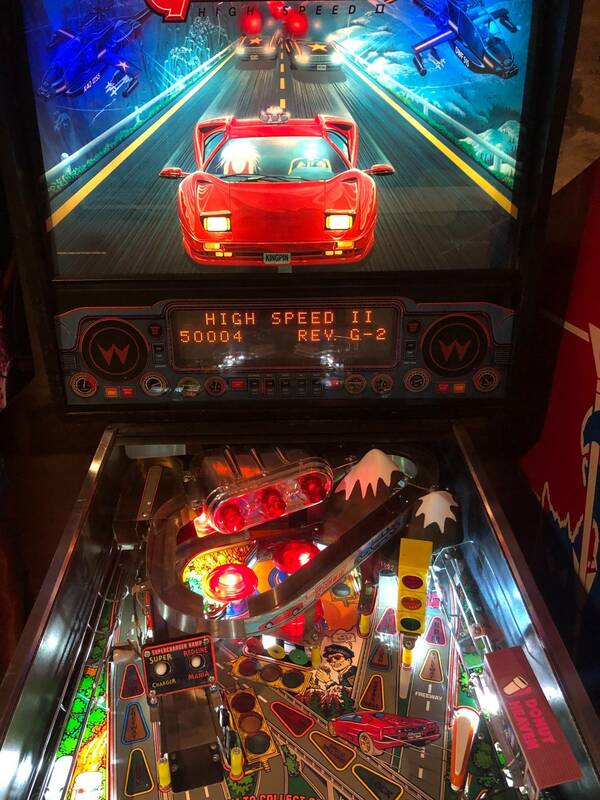 Hey Kingpins, A friend of mine is looking for a Getaway; https://pinside.com/pinball/market/classifieds/ad/46621. He's in the pinball league I'm in. I'll see him in person Wednesday, if anyone is interested in selling to him. I'm not ready to sell. Welcome to the car club! Remember, pics or it didn't happen. Cleaned and waxed tonight. Same balls, but waxed them. They are only 7 months old. Will do more testing of the supercharger divertor when I can make noise. Sorry. Accidental post. Nothing to see here. A clean machine makes a happy player. Shiny. 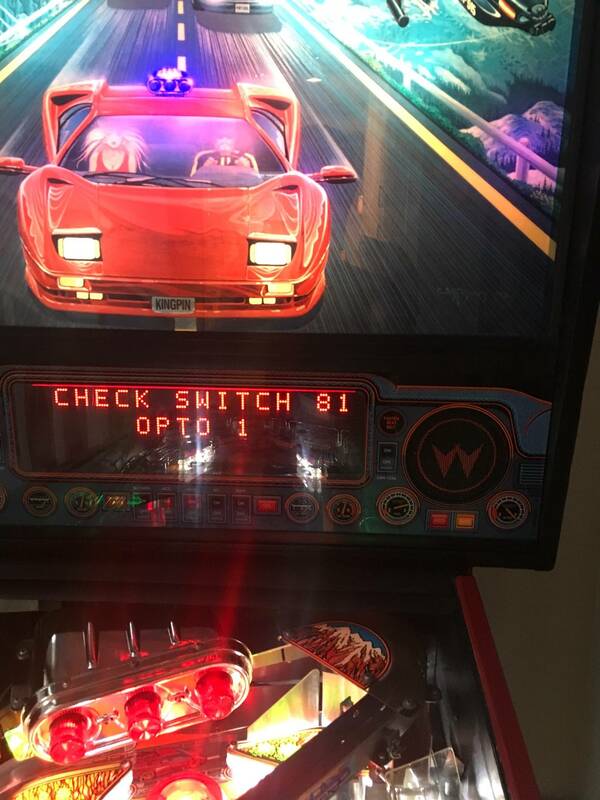 Sometimes pins are more fun to look at than actually playing them. You got that right. Sometimes I'll turn them all on just to look at them. Sometimes I'll turn them all on just to look at them. Yeah, i sometimes do that with the wife ! ..
Good to see I'm not the only one. I have my Leg Light-Ups and Beatmasters shooter housing light up on all but one of my games and that REALLY lights up my rows. 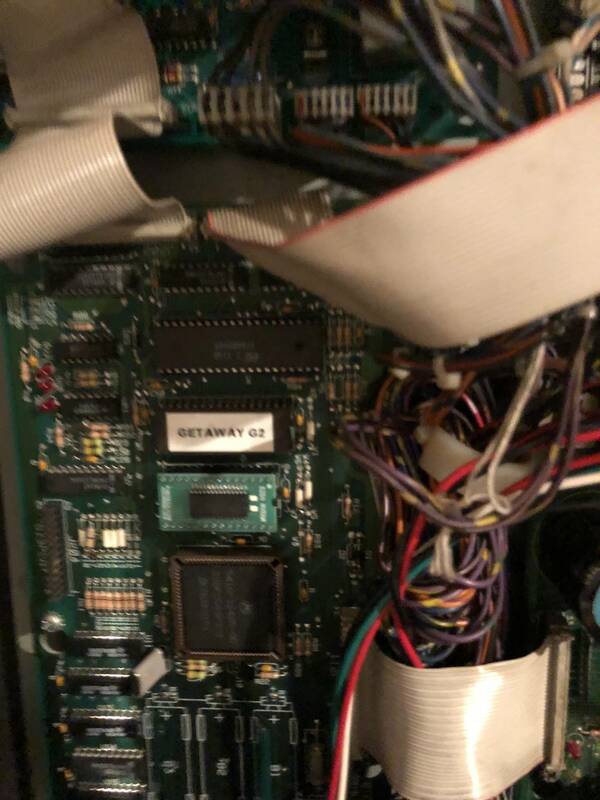 I recently performed a very detailed cleaning, waxing, replaced a few rubbers, swapped out a few LED's, replaced the missing ram flap and became very familiar with my machine in the process. Topped off the project with a brand new set of CPR plastics, couldn't be happier with the results! 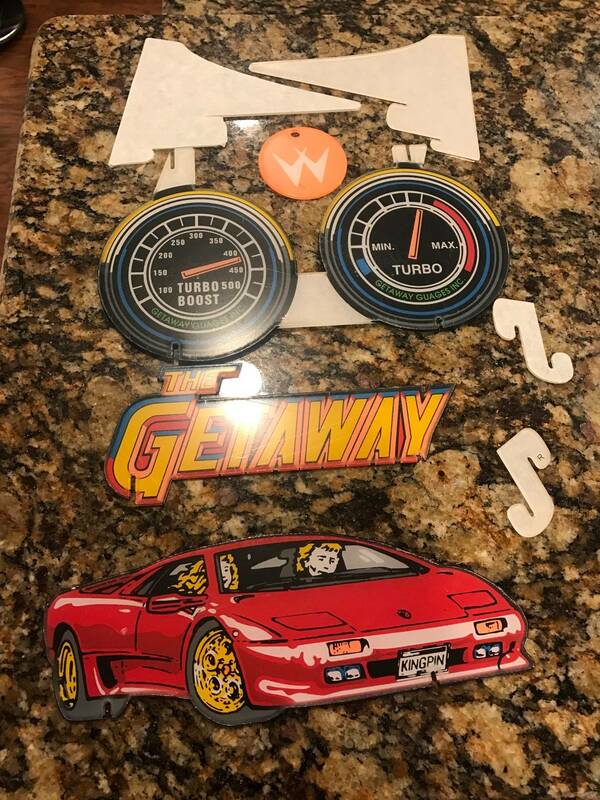 Is there a market for used Getaway plastics? How about the new 'alternative' plastics included with the kit? I may be interested some of those plastics; alternative and used, if you are thinking of splitting the set up. 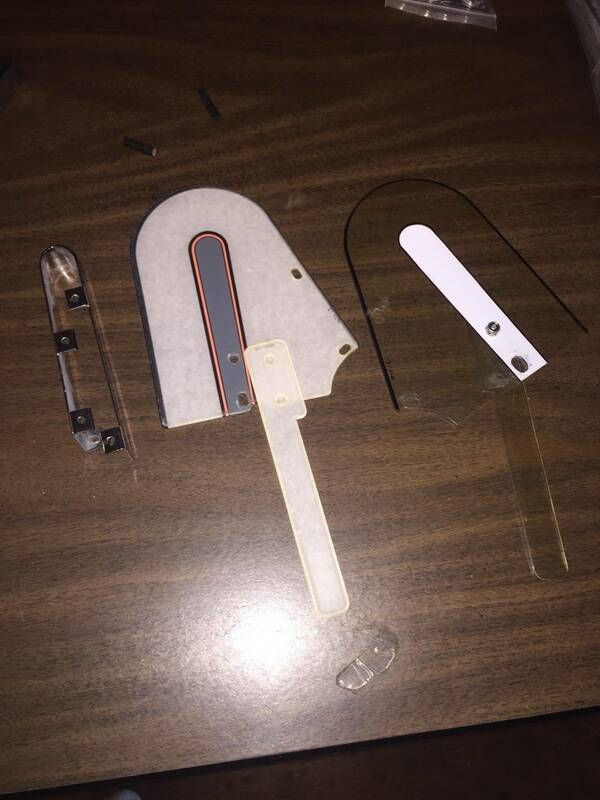 I have a few cracked pieces and I may want to replace the stock with the alternatives. Let me know which pieces you need, no problem splitting the set up. Probably best to post or email a picture of the piece(s) you seek. Will do. And I'm willing to share with the group. I don't want to be seen as the plastics hog. I don't know what the "extras" or "alternatives" you are speaking of. Could you post pics of what those are? You talking about the cool ones that say drive 125 and feel alive? If so why wouldn't you use those? I would like to see what you have. Are you adverse to posting some pics here? Yes, I'm speaking of the alternative plastics. 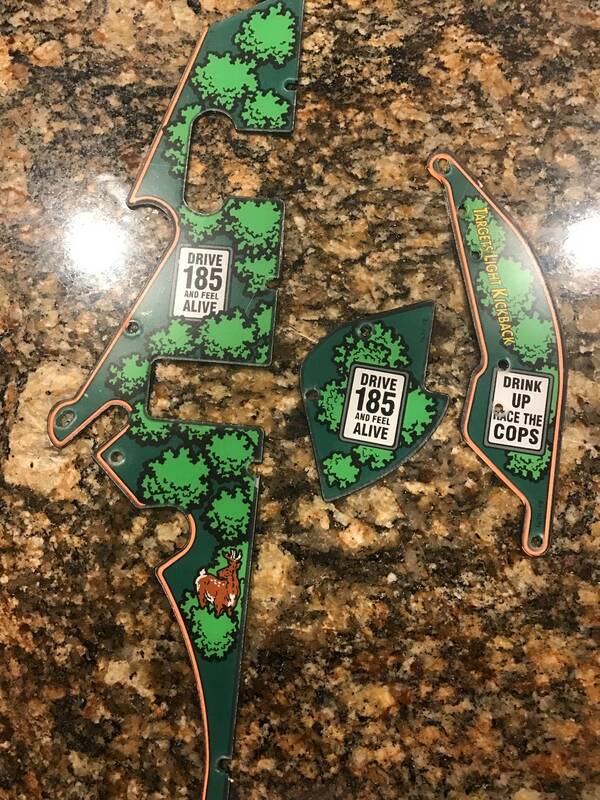 "Drive 185 and feel alive" and "drink up race the cops". 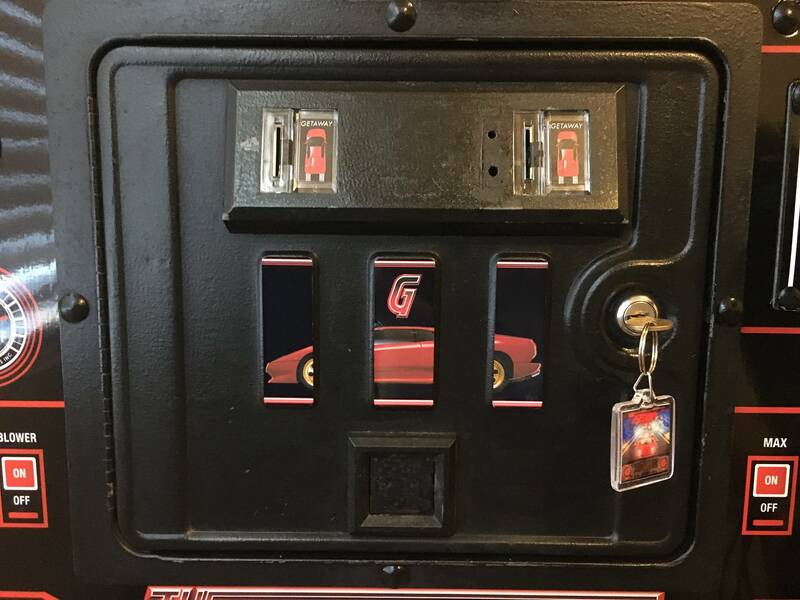 Also have the "W" Williams key chain and Getaway 3D desktop display as pictured on CPR's site. I'd be interested in one of the used and maybe two of those alternate ones. The used one is a slender one that goes on the hairpin turn. Part #31-1695 I think. Looks like this. And the small heart shaped Drive 165, and the smaller Drink Up one. I don't want to start a bidding war on these with others here, but I think they are desirable. So maybe we do something like PM a number that you decide between 1 and 1,000 or something. I'd love to have the 2 that go on the right side.... drink up heh.